Chow started his career with his hometown club Wigan Athletic, joining the club at the age of nine after being spotted by a Wigan scout whilst playing for Blackbrook JFC. He progressed through the youth system at the club and signed his first professional contract in 2012, signing a two-year deal. 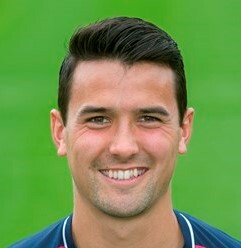 Signing for Ross County on 25th August 2016 on a 2 year deal.